Apptuto is a relatively new entrant into the world of CFA Exam prep course providers. Nicolas Cooper created Apptuto after he realized the tools available to study for the test really haven’t evolved since he originally took the test 10 years ago. As a result, he created a new platform that combines mobile technology with proprietary analytics designed to tightly measure your progress as you study. I decided to purchase the program and provide a detailed review of my experience with it. Note: Apptuto’s web site is currently unavailable. We recommend considering Adapt Prep as an alternative option until the Apptuto web site is available again. 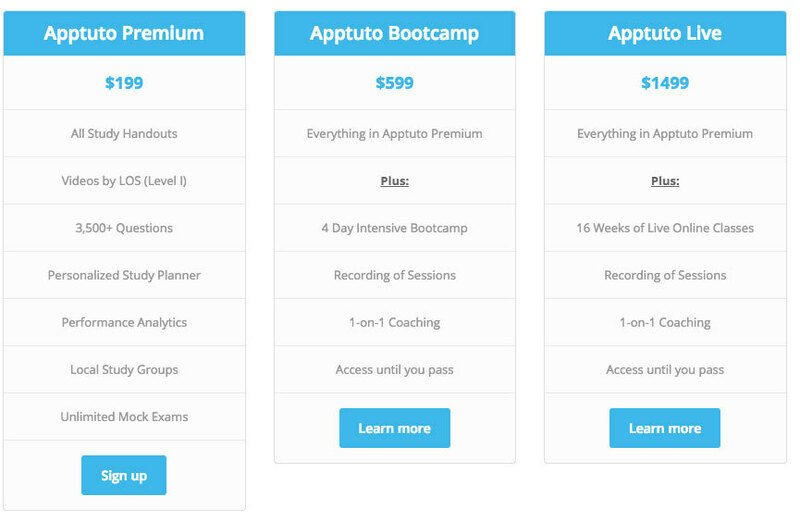 Apptuto offers three primary course options. The first option represents a self study option and the other two options offer a mix of more classroom and group style study options. Just be aware that Apptuto currently offers study material for Level I and Level II of the CFA exam. If your studying for Level III, you will need to exposure other prep providers. Includes all options from the Premium and Bootcamp Courses. 16 weeks of live online classes and access to the recordings. Free Access until you pass. Try Apptuto with free trial access to the platform here. Apptuto’s study platform is designed around an engaging gamified platform. There is a large leaderboard at the bottom of your study dashboard displaying your ranking compared with everyone else using the platform. The ranking includes a flag showing each person’s country of origin and even includes an optional profile picture. The ranking system highlights how many questions you’ve attempted and how many points you earned. The idea is to encourage friendly competition and incentivize you to practice as many questions as possible. The progress page slices and dices your individual performance by completed study sessions and evaluates your weakest and strongest topic areas based on the questions you’ve answered. The main dashboard creates a personalized study program that covers the full exam based on how much time you have before the test. As you complete it each section, the customized study plan updates each section to reflect your progress. Apptuto’s study program is entirely online based. So when your home, you access the program directly from your desktop. If your commuting to work, you have the option of accessing your program directly from an app on your phone or your tablet. The app is available on both Apple and Google platforms. I have to say that I really loved using the app on my phone. The app offers the exact same experience as you have on your desktop when you access the program. Anything you do in the app gets directly saved and updated under your profile. So your progress gets updated in real time. The app makes it really convenient and easy to access the program on the go whenever you can squeeze in a few minutes of extra study time. 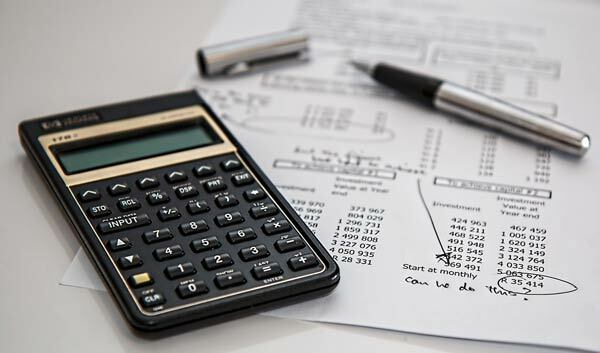 The Study handouts include short videos explaining each Learning Outcome Statement as well as a pdf document providing additional context for each Learning Outcome Statement. Some of the videos tend to be relatively short and provide just a straightforward and simple explanation of the LOS. However, other videos tend to be more extensive and actually show you the keystrokes used the BA II calculator to arrive at the right answer. 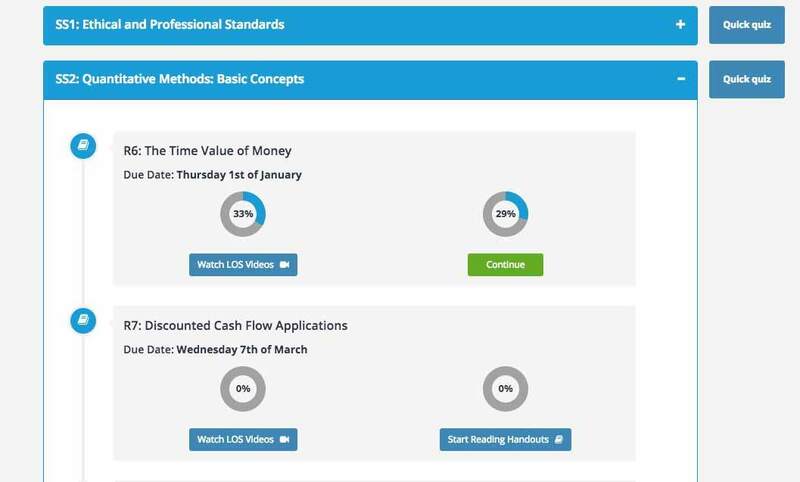 For example, study session 2 reading #6, the Time Value of Money includes 6 videos with lengths that range from 1 minute and 26 seconds to a video on an LOS about calculating Present Values and Future Values that is 35 minutes and 34 seconds long. The Study Notes handouts are in pdf format and are accessible from any of the Apptuto apps or the main website. The length of the study notes is directly related to the nature of the topic. The same Time Value of Money reading has a full 58 pages of notes. I found both the notes and the videos to be an effective study aid. However, I would not recommend relying entirely on the notes and videos as your only study source. The notes and videos are probably sufficient if you already have a good baseline of understanding of the topic. However, if your new to the topic or you regularly answer those questions incorrect, I would strongly suggest that you supplement your studying with the original source material textbook for topic areas that your weaker. If you don’t want to pay full price for the textbook in that topic, its very easy to pick up a used copy of the book on Amazon. Apptuto offers a really user friendly and convenient platform to practice questions by topic area and for full length mock exams. For my studying, the single most important thing for me was to regularly, almost obsessively practice questions for the exam. The only way to really get a sense of how well you know a topic area is to regular take practice questions. Quick Quiz: pick specific topic categories to test your knowledge in that category with 10 random questions. Custom Quiz: highly customizable option which allows you to tailor the number of questions, set the weighting by CFA guidelines or equal weighting, include all topics or select certain topics, set a difficulty level, focus on calculation based or theory based questions, and whether you want to include questions you previously answered correctly or incorrectly. Tailored Test: Answer timed questions with a difficulty level that evolves based on your performance in each topic area. Apptuto’s platform really shines with the practice questions format. You can practice questions at home, on your commute, and even on your lunch break. Anytime you log in to the app from any of those places, your progress is recorded, analyzed, and measured. Really convenient platform where you can access the dashboard from anywhere using the app. Nice app design which is identical to the dashboard you would see if you logged in directly to the main website from your desktop. Video and study notes range in length and depth based on the LOS topic. Extremely competitive price point compared to other prep providers. Ability to try out the platform with a free trial. The study notes are only available electronically. Some people prefer to read from a hard copy rather than from a screen. Access until you pass is only available at the Bootcamp and Live program options. Apptuto offers a really nice mix of modern mobile technology with a highly customizable question bank. I personally prefer to read study notes from a hard copy, but I know some people are also just as comfortable reading from their screen. I found the practice question bank to be excellent and really loved the convenience of being able to access the questions from anywhere using the free app. Apptuto’s analytics pull your results together and really give you a nice view into your strengths and weaknesses. However, if you are don’t have a strong handle on the material or have certain topic areas that you have trouble, I would suggest you supplement Apptuto with a few of the original text books from those problem topic areas. Its easy and relatively inexpensive to pickup a used textbook from Amazon. For those students who already have a good foundation, the Apptuto question bank is a really great resource that’s available at a much lower price point that some of the larger prep providers. If your interested in taking the platform for a test drive. You can access a free trial here. 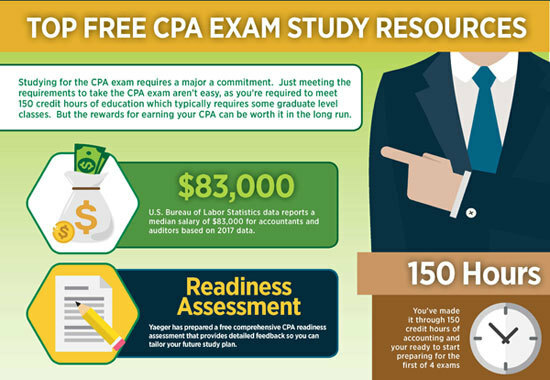 Is the CFA® Exam Worth It? What are the Best CFA® Mock Exams to Use?